This carefully crafted ebook: “A FOOL'S ERRAND & BRICKS WITHOUT STRAW” is formatted for your eReader with a functional and detailed table of contents. “A Fool's Errand. By One of the Fools” – After the American Civil War, Comfort Servosse, a Yankee gentleman, decides to purchase a Southern Plantation for himself and his family. But unlike other white owners, Servosse is actually interested in the well-being of his black subjects to the extent of calling the KKK (Ku Klux Klan) a terrorist organisation and blaming Theodore Roosevelt for the failure of Reconstruction of South! 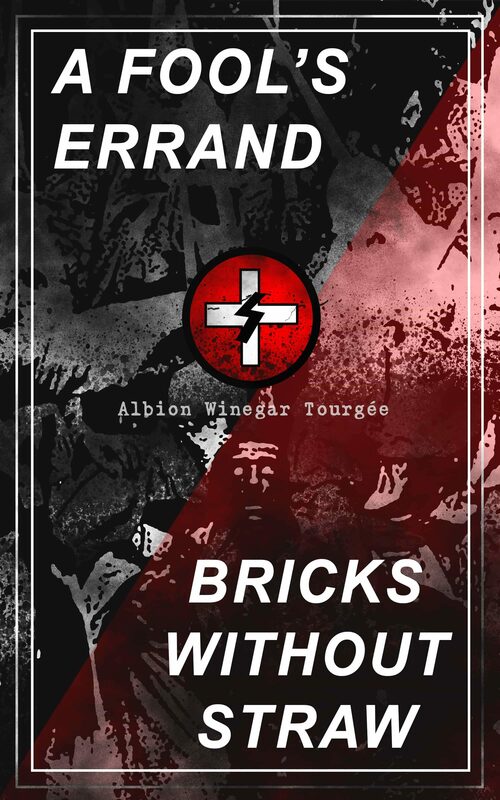 Soon enough, Servosse finds himself amongst his angry white neighbours and things take a dramatic turn… “Bricks Without Straw” (A Sequel) – In a chilling sequel to “A Fool's Errand”, Albion Winegar Tourgée shows how KKK unleashed their terror on a group of emancipated slaves who want to start their life afresh by buying new land and starting their own businesses. Suddenly out of nowhere, Klan's terrorism begin new wave of slavery and nothing seems to stop them! Albion Winegar Tourgée (1838–1905) was an American soldier, Radical Republican, lawyer, writer, politician, and diplomat. A pioneer civil rights activist, he founded the National Citizens' Rights Association, established the historically black women's college Bennett College, and litigated for the plaintiff Homer Plessy in the famous segregation case Plessy v. Ferguson (1896). Historian Mark Elliott credits Tourgée with introducing the metaphor of "color-blind justice" into legal discourse. .
Otros ebooks de Albion Winegar, Tourgée.